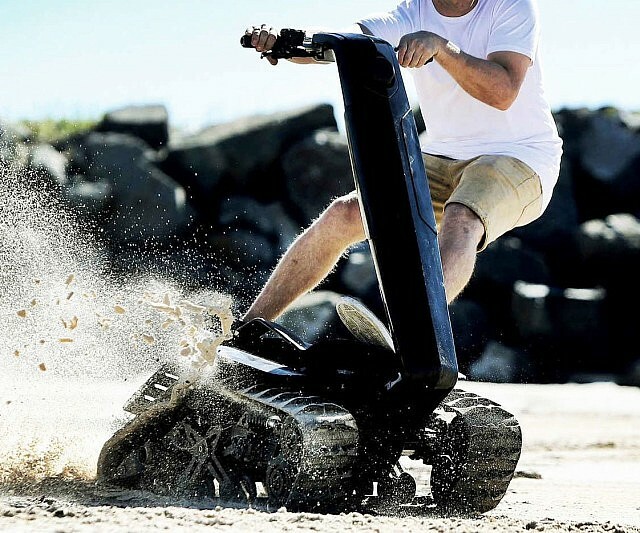 The DTV Shredder Is A Sick Off-Road Skateboard | OhGizmo! To call it a skateboard is really stretching the definition, but you are technically looking at a “vehicle” on which you’re meant to stand, and it does have what the makers are calling a “skateboard deck”, so we’re going with it. 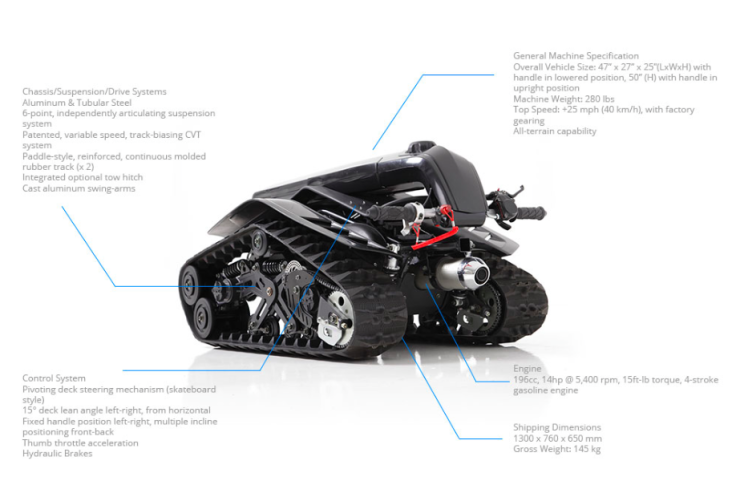 It’s called the DTV Shredder and is the most badass means of locomotion we’ve come across in recent memory. Sporting two massive tracks and a 4-stroke, 196cc, 14hp engine, the Shredder is capable of 25mph+ speeds in pretty much any terrain. Steering is accomplished through leaning left or right, giving the rider the sensation of carving turns that’s familiar to any skate or snowboarders. And the best part is that the company, BPG Werks, is developing a 48hp model that will be capable of traveling at 60mph+. It already has a working prototype that was brought to Travis Patrana’s house and ended up doing backflips, Can Cans and Madonnas by the end of the evening. The regular DTV Shredder costs $2,599 and is available now.